Described as “the new scenic route showcasing fairy-tale castles, white sand beaches and historical ruins”, the North Coast 500 is todays most sought after road trip. This has been an exciting venture for the team at Ecosse EV, providing an electric vehicle for visitors that is both exciting and environmentally friendly. Recently, the North Coast 500 has proven to be a popular destination for the adventure seekers embarking the great Scottish road trip. With miles of open road, there has been an influx in the number of vehicles travelling the 500 mile route. We believe that by providing a zero-emissions alternative, this will reduce the footprint by tourism in the highlands and encourage all businesses and visitors to be proactive in their environmental efforts. 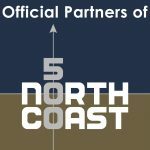 Our partnership with the North Coast 500 was confirmed in March of 2018 and we are overwhelmed by the positive response from the public. We have many travellers with interest in the Tesla vehicles, choosing to hire our cars for their road trip. Although a very exciting, techie car to drive – the benefits of zero-emissions drives us toward a greener Scotland. Development of electric vehicle infrastructure throughout the North Coast 500 in recent years has surprised us all, with many businesses installing Tesla destination chargers. This offers a great option for visitors looking to charge their Tesla overnight, or for a short charge as they enjoy a bite to eat. "At The Torridon, to keep our sustainable practices progressing we have implemented a Green Team to analyse and come up with new sustainable initiatives. As a result of this, we have employed new technologies to keep the resort environmentally friendly including adding electric car points to the car park. 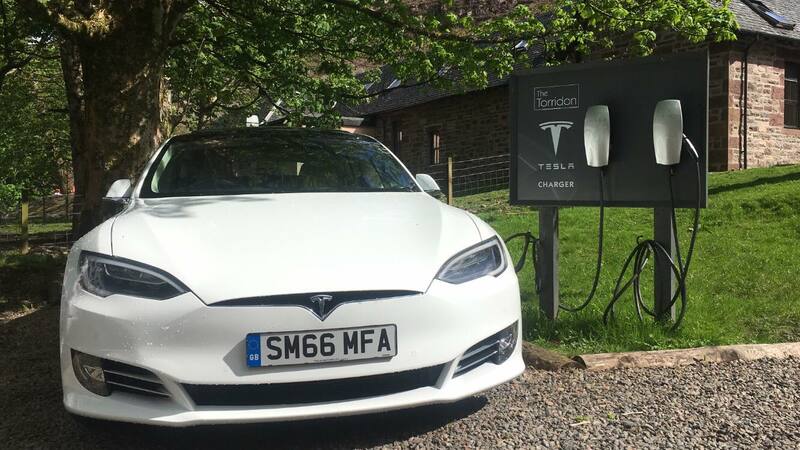 We have had a number of Tesla owners stay at The Torridon who have enjoyed that they can charge their car overnight whilst staying in 5-star accommodation." 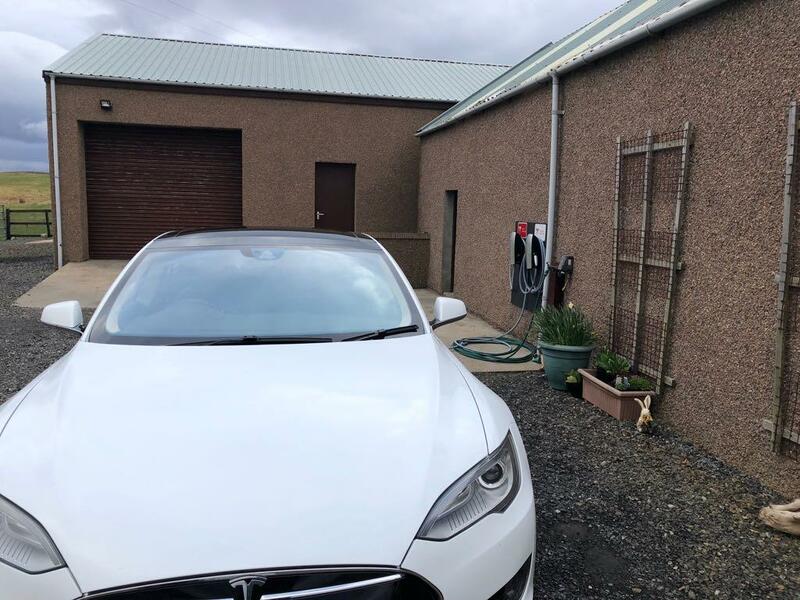 "We were invited by Tesla to have destination chargers at Scourie Lodge B&B. This sounded like a great opportunity for us to be able to provide an electric vehicle charging option for our guests. We are always aiming to make Scourie Lodge as eco-friendly as possible. We have recently installed a biomass boiler, we use high-quality bamboo bed linen, and our Tesla destination chargers are also part of our effort to support sustainable tourism. "Having a Tesla Destination Charger installed was first mentioned to us several years ago by a guest who was driving a Nissan Leaf. It seemed like a great idea with us looking ahead and seeing the benefits offered by electric cars. After installing our Tesla Destination Charger, we haven’t looked back! Most of our guests driving electric cars have rented, allowing them to get to know the car before buying, it’s a brilliant idea and we would recommend it to anyone!